The installation entitled Crystal Rain, developed by creation partner and light artist Takahiro Matsuo, incorporates a new crystal grand piano instrument, which draws upon Kawai’s 90+ years of expertise in crafting the world’s finest pianos. The exhibited transparent crystal grand piano floats upon undulating waves of water. 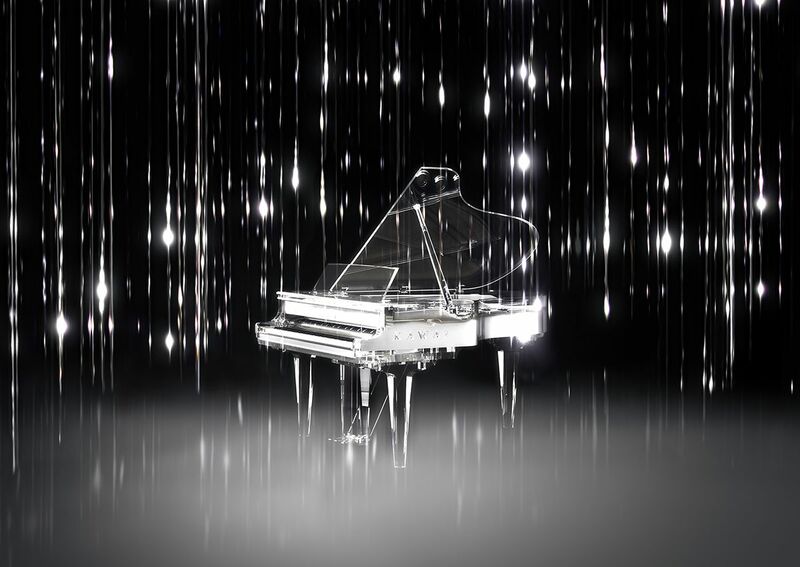 As the instrument is played, each note sparkles as droplets of light, raining down into the space surrounding the piano, enhancing the crystal transparency and luxurious glow of this piece. This dream-like space, where piano, art, and technology merge, presents a modern impression of musical space, transcending the rigid boundaries commonly associated with the musical instrument industry.